As a relatively new player, I do not understand how to provide 200-300 patients a day with only 2 rescue teams, is it assumed here that one builds only rescue? Or that two rescue stations have already built 50 ambulances and 30 hospitals? There is no fire department that wants to be expanded and no police, right? with 12 fire stations, 2 rescue stations and 2 police stations daily to fill 4-6 hospitals can somehow hardly be normal! Build more hospitals, duplicate if you have to. The 'It isn't realistic' idea rather obstructs Gameplay. That i mean, build more hospitals... yeah and the fire deapartments the next 10 mio credits i forget... the sum of Ambulances what is need here in the american version with 2 rescue stations is not really normaly... i only can use my earned credits to build up the two rescue station and buy more ALS Ambulances, and the other money goes to new hospitals and more beds.... with which money i can build up at the same time the Fire Departments? That's the challenge of a game, you're never going to have money to do everything you want. Be realistic in setting your goals so you can achieve them. that alone is 2.32 million for the hospitals for 2 rescue stations ... so I need for 10 rescue stations already 30-40 hospitals? The game is a developing thing, it's never going to stick to one thing just in the interest of the original concept, we've had implements brought in to make the game better that have come from the players, what are you looking for? A game where the only option is fire fighting vehicles? If you need more hospitals and more hospital beds then build more, what part of the demand and supply concept has not got through? You simply do not want to understand that the amount of casualties at such an early game status is simply exaggerated. But since I realize that one is not critical here, they can close the topic. I have formed my opinion about the lack of criticism in this forum and good! The post was edited 2 times, last by LennyK ( Feb 4th 2019, 8:13pm ). Jesus Christ, That's one promotion I've not heard about yet. Considering what's been rude lately, that's a fairly dignified, thanks. I don't understand how you interpreted that message up above, the response you gave doesn't exactly specify, my responses are generally designed to be blunt and to the point, not some wishy washy stuff that gets thrown around and wastes time. It may be a little hard to take, but this is a forum, that was an opinion, which has it's basis and I've shared it with you, to tell you why I think, what you've said is wrong. If you haven't got the answer you liked, it's generally because you haven't put the question the right way. If that is respectful tone, they should first learn to respect! It was a criticism of the game of mine! They go on a personal basis by accusing me of not understanding something! This will give you access to fellow users hospitals (if shared), and if they are nearby, provide a place for your ambulances to divert to if yours become full. Plus it will allow alliance members to assist you if you become overwhelmed from calls. Expand your hospitals to whatever you can afford, this helps greatly for the short and long term. 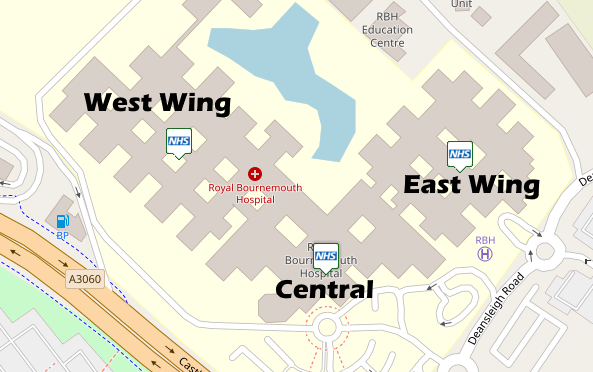 As shown above, this (although costly) provides me with effectively three 'hospitals'. This is extremely useful if you only have one local major hospital for example. Instead of dealing with the medical calls while your hospital is full, do your fire or police calls in the meantime. It will limit your credit income, but allow your hospital to rinse out its current patients. I have to agree with LennyK. Especially compared to the german (originally) version of this game the amount of patients with transport is a multiple. At first our thought was it depends of the number of stations (as I own 28 stations with 29 ALS (just as in real) an I have to have 9 !!! fully expanded hospital with 30 beds each and get sometimes introuble due to full hospitals. In the german version (where both of us has more stations than here) is not this massive volume of patients. We think of 2 solutions: Either make hospitals larger (50 beds each or even more, as fire stations can hold up to 40 vehicles here =/= 16 in german version) or decrease the number of patients. I totally agree with you, @me181, that this game should be a challenge anyway. But one should be able to handle a challenge and not feel overwhelmed. Edit: @Mark_ 1. He is in an alliance on Point 2 and 3: One should be able to afford this, but if you are a small (new) player you can't. Our intention is to improve the game balance, that's why we would rather prefer to be able to build larger hospitals than decreasing patient's volume. Any yes, We dicussed and know that 10 beds in a hospital cost onny 10,000 less than a new hosptial, but you have to consider the distance as well. The post was edited 1 time, last by Taliesin ( Feb 4th 2019, 10:07pm ). I was merely surprised you hadn't grasped a fairly simple concept, nothing for you to take offense at there. I fear there is a slight communication issue aswell, you've had about 4 attempts at wording your argument, each is less intelligible than the last. The 'ranty' bits that are now happening are starting to become hilarious, they aren't helpful in anyway, and believe me, I do try to be helpful. That's a fair point, however there is always the option to build more hospitals, money allowing. If you don't have the money then you don't have the money, it seems simple but the idea doesn't seem to get through. Anytime a player wants something new it seems to be either buy and build(the majority) or rant on the forum(the minority). One should be able to afford this, but if you are a small (new) player you can't. Thread locked, question was answered.